PASAY CITY – In just two hours since they started the display of fresh tuna products from General Santos City during the Philippine Halal Assembly expo that started Wednesday, all of VL Food Products’ items were gone as buyers came in droves. 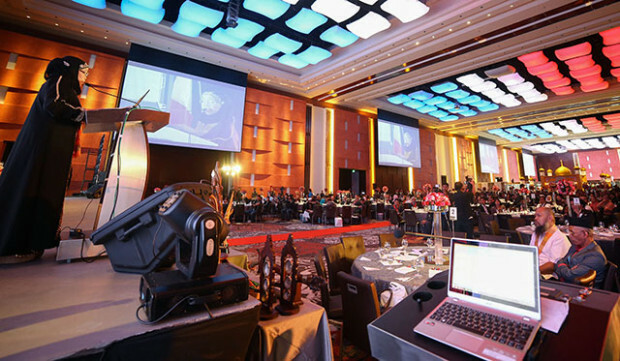 Thus, on the second day, VL Food Products’ display booth at the Marriott Grand Ballroom was empty, and its staff had to call their main office in General Santos for a resupply. Sashimi and other tuna products are among those aggressively being sold to halal consumers who attended the assembly. Prominent Halal stakeholders all over the world gathered here for a three-day international conference and expo aiming to synergize efforts in halal development. Chennie Rose Estanislao, the accounting sales representative of VL Food Products, said they are vying to have their sealed products halal-certified to penetrate a wider market in the Muslim world. “This is why we joined the expo and wanted to be certified Halal. As how we see it, there is future now of exporting halal certified products recognized by legitimate government entities,” she said. Another manufacturer with a display booth is Resta Enterprise, of Makilala town in North Cotabato, selling coco sugar. With Resta’s natural, low glycemic, all-natural byproduct from coconut sap, the company aims to get Halal-certified too so their products can be introduced to Muslim consumers around the world. “If that will happen, we expect to increase production, especially if buyers will give importance to our healthy, organic sugar,” according to Aster Kakilala, one of the local exhibitors. Resta Enterprise is helping members of the Bagobo indigenous group, especially the unemployed couples. The husbands now serve as coconut tappers while the wives are tasked to cook the sugar. Helping entrepreneurs break into the halal market has been the dream of the Department of Science and Technology in Region 12 (DOST-12), when it first established the halal laboratory in Cotabato City in early 2007 to help generate jobs for the small and medium enterprises (SMEs). DOST-12, which has the first and only halal laboratory in the country, aims to serve as the clearing house for all halal products coming out of the country so manufacturers can establish credibility. Dr. Zenaida Laidan, regional director of DOST-12 and the lead convenor of the international halal assembly, said the move is to ensure world-wide acceptance of local halal products and boost consumer confidence and satisfaction, even those outside the Muslim world. 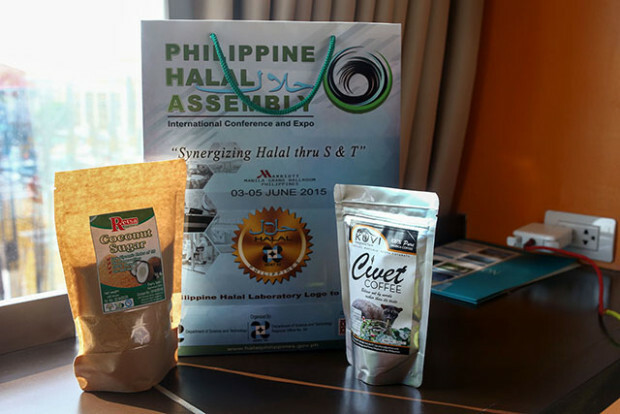 The DOST halal laboratory is working on its accreditation for global halal standards adopting the Organization of Islamic Conference’s Standards and Metrology Institute of Islamic Countries (OIC-SMIIC). The latter handed its standard guidelines to DOST-12 during the conference. As support, a memorandum of agreement was signed between DOST and the National Commission on Muslim Filipinos to further strengthen the mandate of protecting the halal industry in the Phiilippines. Hundreds of foreign delegates and product exhibitors came here to showcase their products, share inputs, and to synergize efforts to the development of the halal industry and tackle global concerns. Among the key halal speakers came from Saudi Arabia, United States, United Kingdom, United Arab Emirates, Pakistan, Turkey, Malaysia, India, Indonesia, South Africa, Switzerland, Singapore, China, Bosnia, and Egypt, among others. Topics raised during the plenary sessions include Halal Accreditation on Unified Standards and solution to harmonize global bodies, including the halal standards for manufacturers and exporters. The activity is being hosted by DOST-12 and the DOST national office, and supported by the National Commission on Muslim Filipinos (NCMF), which joined in the launching of the halal laboratory logo. Halal food is a fast-growing industry with a three-trillion-dollar global market. Halal foods are permissible foods for Muslims that are free from pork, blood, alcoholic drinks and maltreatment to animal meat.